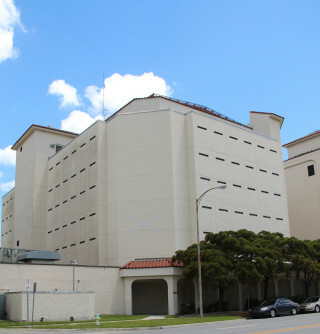 The Sarasota County Commission has unanimously approved a $19,132 contract with Halfacre Construction Co. of Sarasota to provide construction manager at risk services in preparation for the replacement of air handler units and water heaters at the West Jail in downtown Sarasota. The action came on April 27 as the board voted on its Consent Agenda of routine business items. During the board’s March 30 budget workshop, Commissioner Christine Robinson raised concerns about the fact the new air conditioning system would not be installed at the West Jail before summer begins. County Engineer Isaac Brownman had explained that Sheriff Tom Knight would have preferred an earlier timetable. The April 26 memo provided to the board says, “The West Jail is the original detention facility” of the current jail complex. Built in 1972, its environmental controls are provided through a central chiller at the county’s Central Energy Plant and two air handler units on the third floor of the West Jail, the memo adds. “These units have reached the end of useful life and require replacement,” the memo explains. The Central Energy Plant is located on Main Street behind the Criminal Justice Center, which houses not only the State Attorney’s Office but also the Sheriff’s Office’s administrative personnel. The April 26 memo also notes that the solicitation for a construction manager at risk for the West Jail project was advertised beginning Dec. 22, 2015. The contract award was recommended by the evaluation committee in early March. A construction manager at risk, staff has explained, oversees all the details of a project to ensure that it comes in on time and on budget; the firm also handles the hiring of any subcontractors. In the fall, the memo continues, the County Commission is expected to consider a contract for the construction phase of the project, including a Guaranteed Maximum Price. Once the work is underway, the memo says, construction is estimated to take six months. In a review the following day of the county’s proposed penny surtax projects for the next five years, Spencer Anderson, a senior manager in the county’s Public Works Department, showed the board a chart with six other jail projects starting in the 2017 fiscal year. The first one involves renovation of the cell door security system in the West Jail, at an estimated cost of $400,000. The most expensive project on the list deals with water piping work in the West Jail in the 2019 fiscal year; that is projected to cost $1,225,000.